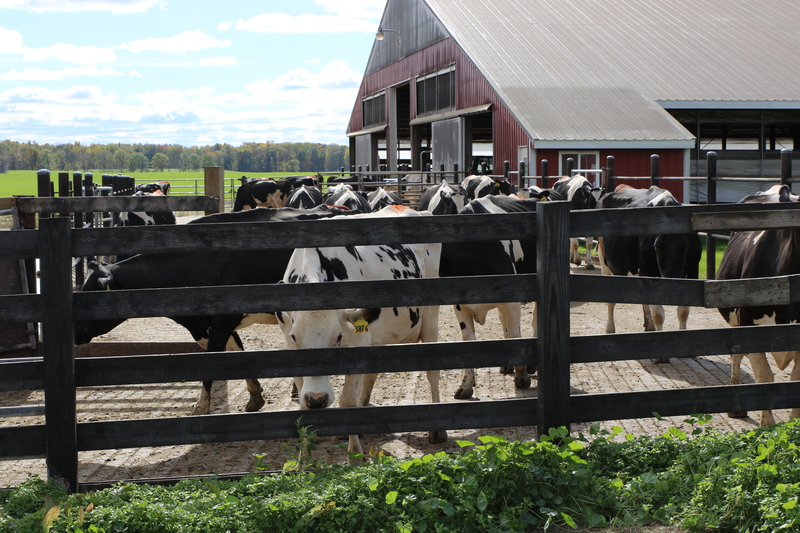 DAIRYPROCESSING: Michigan farmers, now among the top dairy producers in the nation, are suffering from the state’s lack of capacity to process milk. New plants are in the works for Greenville and St. Johns. We talk to a Westphalia farmer, Michigan Milk Producers, Farm Bureau and Department of Agriculture & Rural Development By Kaley Fech. FOR GRAND RAPIDS BUSINESS AND ALL POINTS. w/MILKPROCESSINGPHOTO1: Dairy cows on K&K Dairy Farm in Westphalia, Michigan. 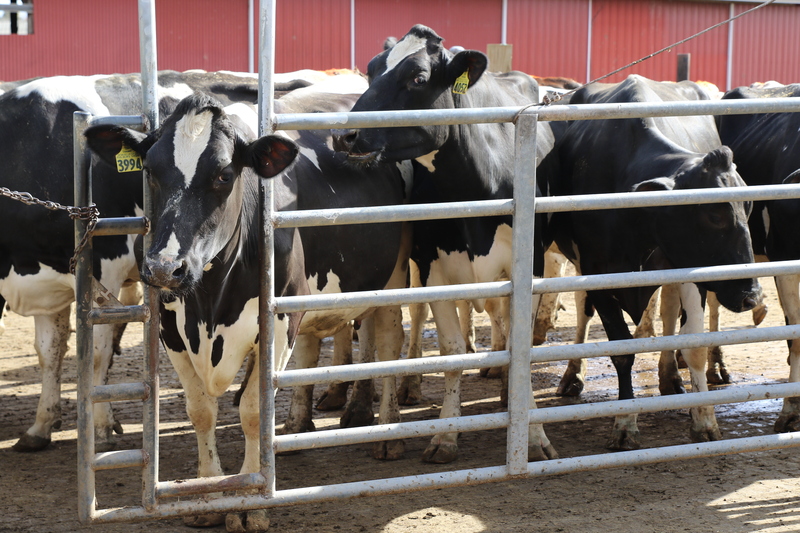 w/MILKPROCESSINGPHOTO2: Dairy cows on K&K Dairy Farm in Westphalia, Michigan. PUBLICCHARGE: Advocates for the poor and immigrants worry that proposed new Department of Homeland Security regulations that would redefine who is a public charge – depending on government aid – will mean fewer people seek aid for fear of sanctions. That could lead to a public health crisis and hurt people who are already struggling. We hear from the Michigan League for Public Policy, Immigrants Rights Center, Michigan United and the Department of Health and Human Services. By Jeremy Wahr. FOR LANSING CITY PULSE, KALAMAZOO AND ALL POINTS. BAIL: A push is on to overhaul Michigan’s bail system so it takes into account the severity of the crime rather than simply whether a misdemeanor defendant can afford bail. An Ingham County judge has a pilot program. Sponsors include legislators from Portland, Grand Rapids and Wyoming. We hear from Safe & Just Michigan and the Mackinac Center for Public Policy. By Nick Kipper. FOR IONIA, GREENVILLE, LANSING CITY PULSE, HOLLAND, MARQUETTE, BAY MILLS, SAULT STE. MARIE AND ALL POINTS. TECHEDUCATION: After years of talk about the need for education to prepare students for technical careers, programs have begun to blossom. Latest figures show 1,300 students were added to career and technical education programs. We hear from an Ionia County ICD official and the departments of Education and Talent and Economic Development. By Lance Cohen. FOR GRAND RAPIDS BUSINESS, IONIA, GREENVILLE AND ALL POINTS. MIPOVERTY: Michigan childhood poverty has dropped, according to the latest Kids Count report, but public service advocates in Montcalm, Ionia and Newaygo counties say poverty remains a serious problem. Many families not listed as impoverished still suffer economic stresses such as food insecurity and lack of quality child care. By Jeremy Wahr. FOR GREENVILLE, IONIA, BIG RAPIDS, LUDINGTON, GRAND RAPIDS BUSINESS AND ALL POINTS. ROADSIDE: MDOT has closed its roadside parks in the U.P. and Northern Lower Peninsula for the winter. The department says it’s too expensive to heat, maintain and plow them. By Nick Kipper. FOR CADILLAC, CHEBOYGAN, TRAVERSE CITY, LEELANAU, PETOSKEY, MONTMORENCY, ALCONA, CHEBOYGAN, CRAWFORD COUNTY, BIG RAPIDS, LUDINGTON, MANISTEE, OCEANA, LAKE COUNTY, HERALD-REVIEW, BAY MILLS, BENZIE, MARQUETTE, ST. IGNACE, CLARE COUNTY, SAULT STE. MARIE AND ALL POINTS. 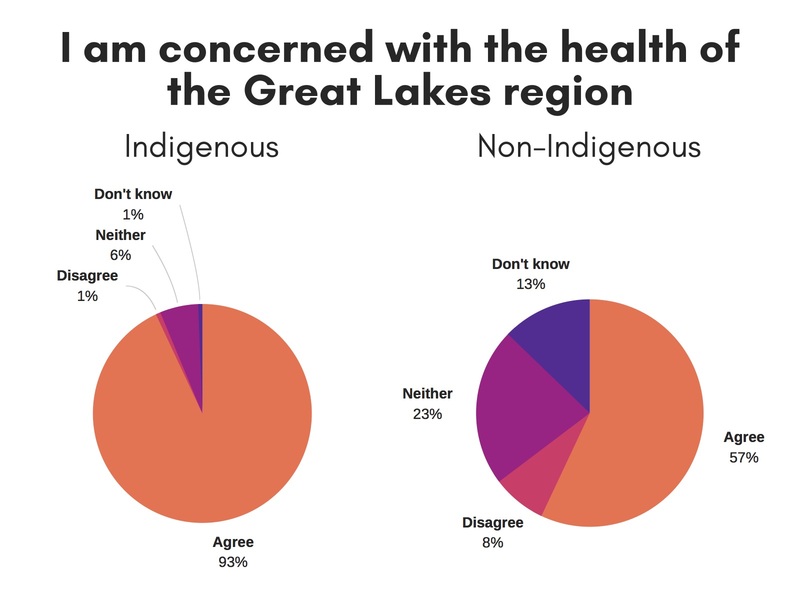 INDIGENOUSPOLL: Poll shows indigenous people are more aware of threats to the Great Lakes. 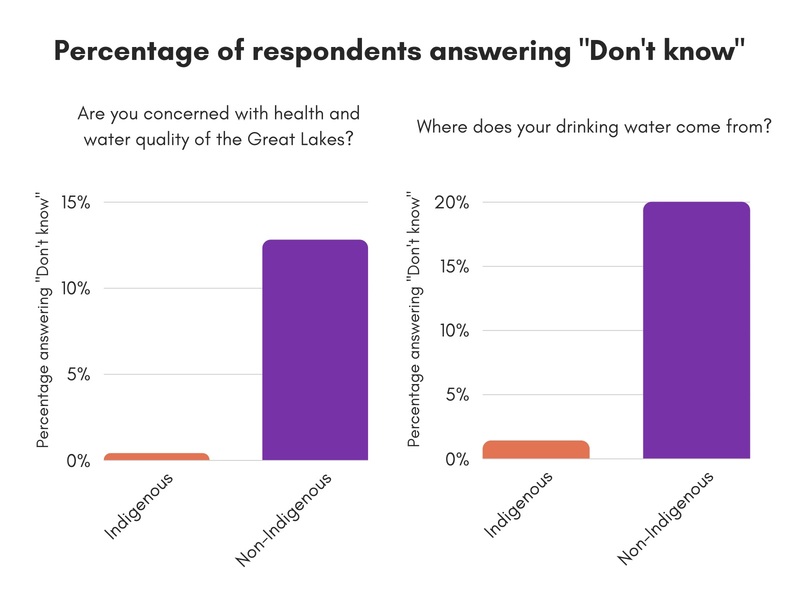 Among the differences is that 20 percent of non-indigenous respondents didn’t know where their drinking water comes from but only about 1 percent of Indigenous people were unsure. By Anntaninna Biondo. FOR BAY MILLS, MARQUETTE, SAULT STE. MARIE, ST. IGNACE, HARBOR SPRINGS, PETOSKEY, LEELANAU, TRAVERSE CITY, HOLLAND, LANSING CITY PULSE AND ALL POINTS. LANSING – It took Barbara Barton three tries and a long painful process to write a book about wild rice. Her fieldwork as an endangered species biologist at the Department of Transportation drew her into a story that she never expected.